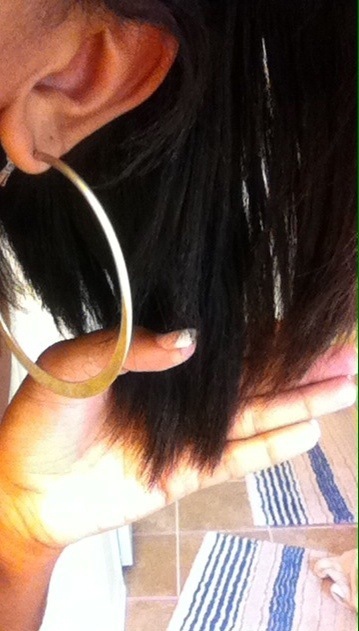 Here it is, five months since my last length check! As my regular blog followers, and people who closely know me, my goal these past few months has not been to focus on length but to focus on ridding my hair of the bad idea that was ombre. So far, I’ve managed to cut/trim/dust (all of that!) off most of the remnants of the destructive bleach. 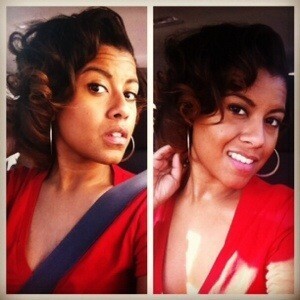 In that process, my hair has become thicker, fuller, and overall healthier. Love it! 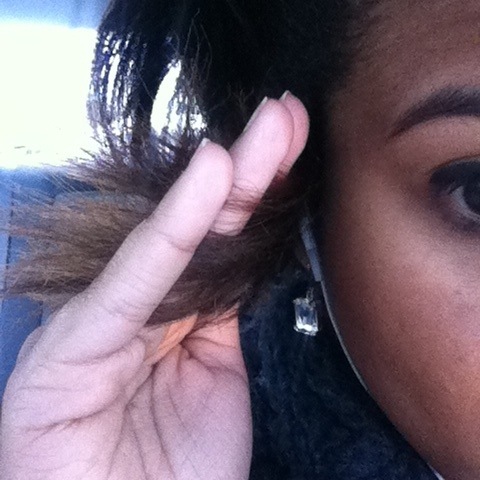 The pictures contained in this blog post are the same as the ones used in my “Month 4” Hairfinity update, as I rely a great deal on Hairfinity (and a healthy hair regimen) for my hair growth. The pictures contained in this blog post are an accumulation of the last five months, so bear with me as I try my best to caption them all in a way that’s comprehensive! 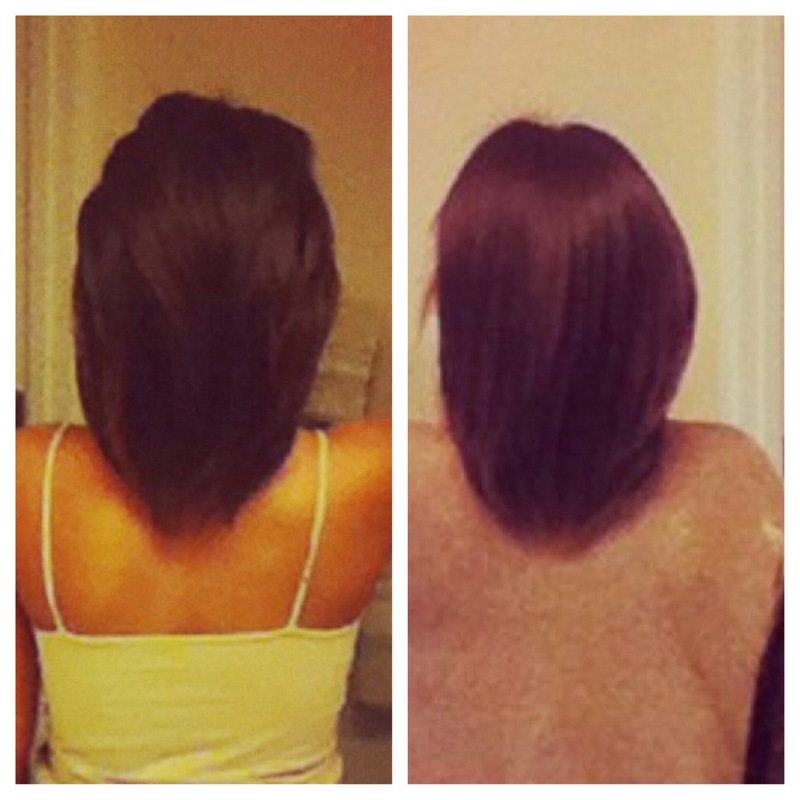 The picture on the left is my hair in February and the picture on the right is my hair in April. 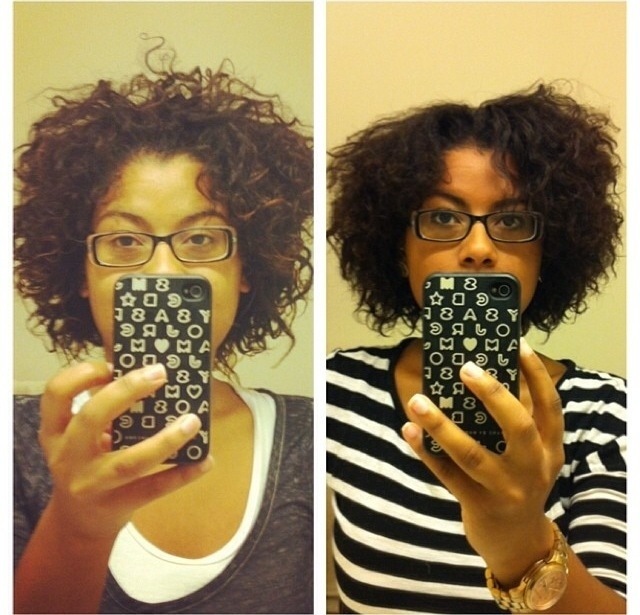 The picture on the left is my hair in February and the picture on the right is my hair at the end of April. While it appears there has been no growth, there really has, even with my obsession with trimming. The growth is apparent in the pictures of above. Lastly! 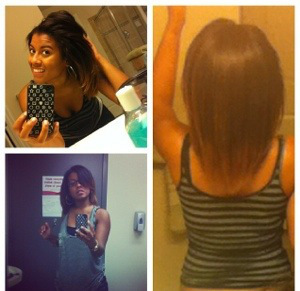 These pictures show the condition of my ends, after the ombre, compared to the condition of my ends now. Vast improvement!